Pastor Jeff Gee is the head pastor for the English speaking congregation at Lighthouse Church of NCMC. He is a native San Franciscan with a few years in Arizona. God saved him at a church musical on September 23, 1983. He shares the same spiritual birthday with his wife, Sally, who also was at that event but did not know each other at the time. That’s another story in itself! When the pastor asked the question, “Do you feel your life is a routine? Do you feel there is no purpose in life?” He felt as if the pastor was talking directly to him. Of course it was the Holy Spirit who spoke and moved his heart to come and receive the gift of eternal life. Afterwards, for the next 34 plus, Jeff would serve in the church in various ministries with focus on youth ministries and music. He later graduated from San Francisco State with a B.A. in Broadcasting, but God had other plans and became a 5th grade teacher at Cornerstone Academy for the next 23 years. It was a blessing to be part of a team who wanted Christ to be first in the students’ lives. Leading Bible and chapel worship were always the highlights over those years. Towards the tail end Jeff felt the tension that there was something more to do than teaching 5th grade as great as it was. A decision to enter seminary to dig deeper for God was made. During that time in 2012, an opportunity to serve as EM associate pastor at Full Gospel SF was provided and later changed to youth pastor for the next two and half years. Juggling family, teaching, and youth pastoring was par for the course. Later an opportunity in 2015 to become full time youth director at Sturge Presbyterian in San Mateo became available and the choice was made to leave 5th grade teaching and Full Gospel SF. These experiences were all used to lead Jeff to NCMC as EM Pastor. What a surprising journey it has been. Pastor Jeff hopes to see the beauty and power of the Gospel be lived out in the lives of the congregation. There will be passion to worship Jesus, the King of kings and to serve him with all their hearts. There will be many who will come to know Christ as their Lord and Savior and be welcomed into the family of God, the kingdom of God. Pastor Jeff is married to his beautiful wife, Sally, and has three children, Kaitlyn, Tyler, and Zachary. Jeff enjoys cooking, music, and movies. He tries to play tennis when he can. Most of all he wants people to enjoy Jesus! Come on over to his house, he will gladly cook for you and tell you “His” story. Pastor Tae Kim is the lead pastor of New Community Mission Church. He founded the English-speaking ministry together with 5 members in November of 2004 and moved to lead pastor in 2016. He grew up in Texas and went to the University of Texas (Longhorns) and received a B.S. in Pharmacy. He practiced as a pharmacist for 10 years, before God called him into full time ministry. At the age of 30, he experienced a life transforming encounter with the Lord Jesus Christ. It was such a powerful experience that he was deeply convicted to pursue seminary education at the Golden Gate Theological Seminary located here at the Bay Area. He left behind a lucrative job being a pharmacy manager and followed God’s call to seminary. Since Pastor Tae (affectionately known as PT) has experienced how important it is to know God as opposed to simply knowing about Him, he is really big on teaching people to know the heart of God. He truly believes that without knowing the heart of God, we could be as religious as anyone but we may not KNOW God. Anybody can be religious, but only those who understand the heart of God are children of Him. Pastor Tae pastored a church in the Berkeley area for several years as a youth pastor before coming to New Community Mission Church as the lead pastor of the English speaking congregation with his lovely wife Song and their two precious princesses, Sarah and Susan. He has a true passion for missions, and leads an international mission team every summer, serving many countries such as Brazil (Amazon Jungle), Mexico, Laos, Cambodia, Vietnam, Venezuela, and China. When PT isn’t shepherding the NCMC flock, he enjoys reading and sharing good food with good people. But no matter where he is or what he’s doing, PT lives by his favorite verses in John 21:15-18 where Jesus asked Peter three time to “feed His sheep.” Without a doubt, since PT loves Jesus Christ he loves to feed His sheep at all times! Pastor Sung is the youth pastor of New Community Mission Church. He grew up in Brazil and has a bachelor degree in Physical Therapy. After working in hospitals and clinics he felt that something was missing, until he came back from a mission trip and realized that he had more joy in serving God than just treating patients. He decided to go to seminary and came from Brazil to pursue education at Golden Gate Baptist Theological Seminary (now Gateway Seminary), finishing his Masters in Divinity degree in May of 2017. Pastor Sung has a big heart for the younger generation and he desires every youth to know God and live a life that glorify Him. He also loves missions and the lost souls, seeking every opportunity to serve and share God's love to others. 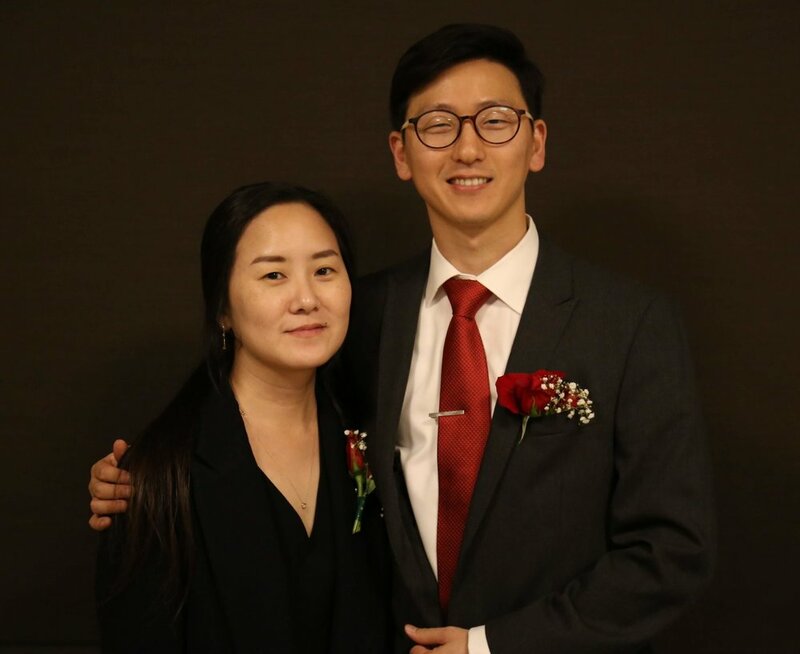 He is married to Soo Jee and is pursuing a Doctor of Ministry degree at Gateway Seminary. In his spare time, Pastor Sung enjoys playing soccer and ping-pong, playing guitar, and listening to good worship songs. Pastor Pyon is the director of the Children Ministry of New Community Mission Church. Pastor Pyon grew up in Korea, is passionate for children and has been serving them to make disciple makers of Jesus Christ. She is also ministering to local Latino children with volunteers to help their English and Math for the purpose of evangelism.